UNC Family Medicine works and collaborates with the North Carolina Farmworker Health Program (NCFHP), which trains and supports community outreach workers in 10 sites across the state. These bilingual community health workers visit farmworker camps, perform health assessments and help farmworkers access needed health care. 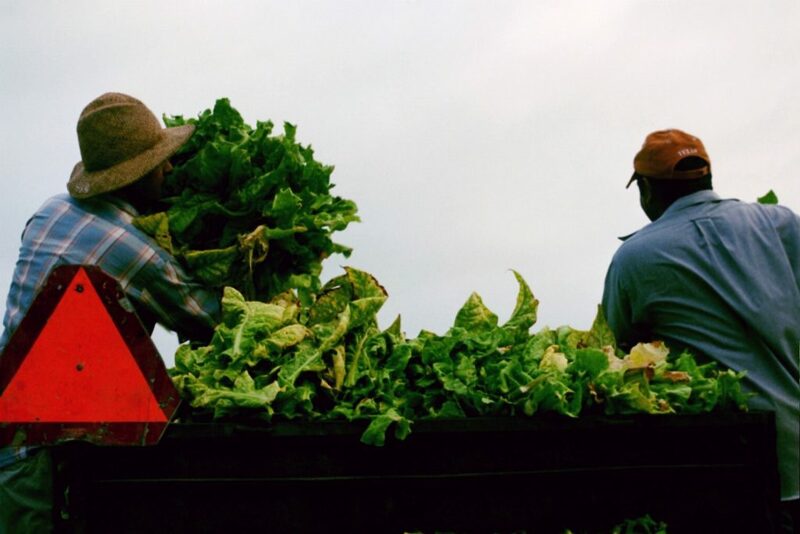 North Carolina farm workers load tobacco into a truck. Photo credit to the North Carolina Farmworkers Health Program, click to learn more. What is the NC Farmworker Health Program? to provide primary medical care to NC farmworkers. On Tuesday evenings during the agricultural season, UNC Family Medicine physicians work out of a mobile medical unit based in Benson, NC. In the mobile medical unit, driven to a farmworker camp selected by the outreach workers, 10-12 farmworkers are treated for illnesses ranging from diabetes and hypertension to green tobacco sickness and pesticide poisoning. The outreach workers provide follow-up care, provide prescription medicines and help farmworkers with any referral appointments. Farmworkers are an invisible and marginalized population in North Carolina and across the country. Despite performing the vital task of harvesting our fruits and vegetables, they live and work without access to healthcare, overtime pay and (often) workman’s compensation insurance. Many in central North Carolina come from Mexico on temporary agricultural guest worker visas for 6-9 months. They live in camps surrounded by farm fields without transportation beyond what is provided by their employer. They often work from sunrise to sundown, six or seven days per week. Because there are many barriers to successful enrollment in the ACA, few have health insurance. View a video of UNC faculty, residents and students providing farmworkers with medical care via the mobile medical unit.